“Rakhat” JSC has acquired the right to produce products that meet the requirements of Halal. 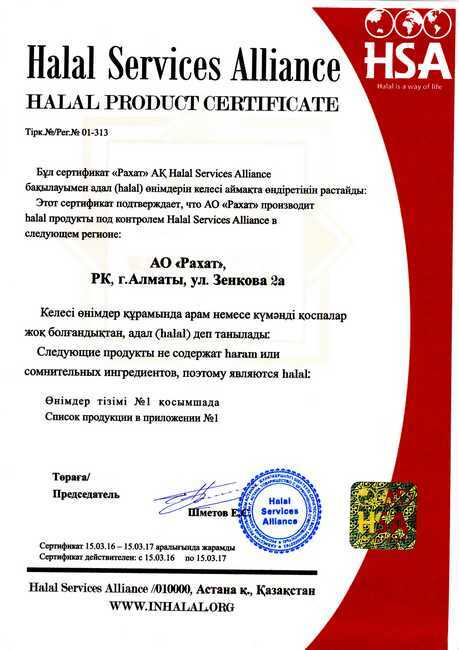 “Rakhat” company successfully passed the test and received the Halal Certificate to certain positions of its production, which allows to producing under the authority of «Halal Services Alliance» (HSA). A long-term laborious work proceeded to obtaining a certificate Halal. 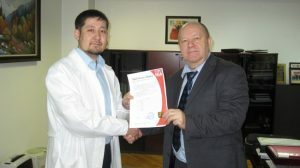 Experts of certification center acquainted with all stages of production analyzed the documentations of raw materials and ingredients for confectionery production. In turn, the company staff trained Halal requirements and was acquainted with the peculiarities of production for compliance with Halal standards. After all the events was defined products, which are currently included in the certificate, it is 122 names of products of “Rakhat” JSC, including chocolate, candy, caramel, biscuits, toffee, wafers, as well as semi-finished chocolate production. 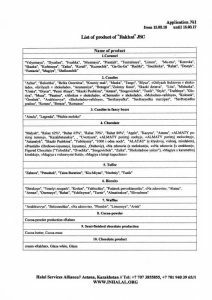 In the long term provided expansion of the list for confectionery products as a replacement raw materials used a raw material that meets the requirements of Halal. 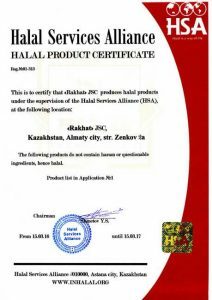 Confectionery of “Rakhat” JSC has long won an established reputation of high quality products for consumers in countries such as Uzbekistan, Tajikistan, Azerbaijan, Afghanistan, Turkmenistan. The certificate will allow increasing sales in these countries and opening up prospects for the development of new markets, Iran and Pakistan.